Over the past decade, the growth of online gold bullion dealers has made it easier than ever to invest in physical gold. No longer must you visit your local coin shop week after week, searching for a specific coin. 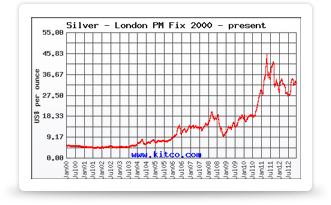 You can just visit websites such as Silver.com to make a purchase securely online. Whether you buy gold coins for your coin collection, or view them as a precious metal investment, buying online is one of the best ways to purchase gold coins. With one click, you can buy nearly any gold coin ever minted. Why should you shop at online coin dealers? On the internet, you’ll find an unprecedented selection of gold coins. Whether you’re looking for a specific date or mint mark, or are looking for a rare, highly collectible gold coin, you’re more likely to find it online than anywhere else. When you’re shopping online for gold coins, you’ll have a wealth of information at your fingerprints. If you’ve ever wondered what makes one coin more expensive than another, or whether you have a particular date or mint mark of a specific coin, then you understand how useful it is to have all of this information available while you’re browsing coins. This wealth of knowledge makes it easier to confirm your decision to purchase a coin or realize that another option may be a better investment. Online shopping makes investing in gold easy. However, you will need to provide personal details such as your name, shipping address, and credit card number or bank account numbers. Some investors prefer the privacy of walking into a local shop with cash and walking out with gold. On the other hand, others feel that buying online makes the process more anonymous than purchasing large quantities of gold from a shop in their hometown. Buying online frequently means getting the best deals on the coins you’re after. In most cities, the number of coin shops or precious metal dealers is fairly limited. This lack of competition enables them to charge higher rates, thereby limiting your investment potential. Meanwhile, the vast number of online coin dealers means increased competition, giving them incentive to lower their prices. Online sellers also don’t have to pay the overhead costs of running a retail storefront. As a result, by turning to online precious metal dealers you’ll see prices that are much closer to the current spot price of gold. Another advantage of purchasing online is the absence of sales tax. In many states, sales tax is charged on purchases of gold bullion and coins. However, by buying from a dealer located in another state, it may be possible to avoid paying sales tax, reducing the overall cost of your gold. One consideration to take into account when buying gold online is shipping costs. Many dealers offer free shipping over certain tiers, but make sure you calculate shipping costs into your overall price per ounce. Also, depending on your payment method, you may be subject to additional fees (3-4% extra for credit cards is normal online). Before purchasing from an online precious metal dealer, make sure that you are buying coins from a trusted source. Doing your research is no less important when shopping online than buying in person. In many ways, it is even more critical. Always check a dealer’s status with the BBB before buying. Before buying, check out the seller’s return policy, and carefully scrutinize all of the photos and written information concerning the coin you are interested in. Make sure that you’re aware of whether the photos are a representative “stock image,” of images of the actual coin you will receive.